Thank you for stopping by Groglass® booth at Glasstec 2018! Glasstec is the leading international trade fair for glass production, glass processing and glass products. 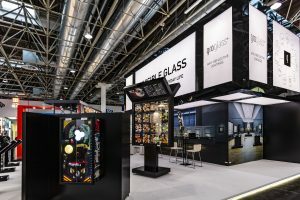 At the 25th anniversary event held from 23 to 26 October the glass industry presented itself in high spirits and top investment shape thereby impressively confirming Glasstec as a leading trade fair and a top platform for the international glass sector. The wide range of products and services was well reflected in the varied conference program and the special shows as well. Glasstec offers an ideal platform for knowledge transfer and shows all target groups, from craftsmen to architects, from glass processors to manufacturers and from mayor suppliers to the industry to technology providers, all through the innovations and visions of tomorrow. For Groglass® the exhibition was a great opportunity to demonstrate a wide range of products for electronic display, cold storage and architecture industries, to meet with customers and potential partners. More than 42,000 visitors from over 120 countries came to Düsseldorf during the four exhibition days. 1,280 exhibitors from 50 countries (makes 70% abroad exhibitors) showcased their products. 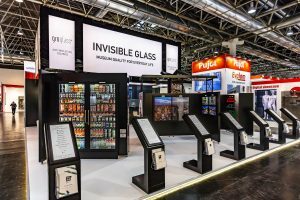 The next Glasstec will be held in two years from 20 to 23 October 2020 in Düsseldorf. “Glasstec remains the leading international platform for global launches in the glass industry, that the whole glass cosmos follows. The industry works in sync with the two-year cycle of Glasstec and gears its innovations to precisely this moment in time. No other trade event can present such a plethora of forward-looking solutions, products and applications. This is also appreciated by the constantly rising proportion of international visitors,” commented Wolfram N. Diener, operative Managing Director at Messe Düsseldorf. You did not go? Get a better feeling about the event itself, see – Glasstec 2018 Trailer. 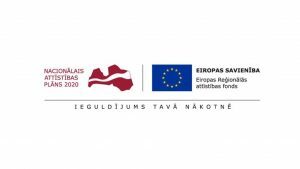 We would like to thank Investment and Development Agency of Latvia for financial support and cooperation provided for participation according to the agreement SKV-L-2016/781 signed on 15 September 2016 within the framework of activity Starptautiskās konkurētspējas veicināšana and co-financed by the European Regional Development Fund.